We are specializing in manufacturing and importing the finest quality assortments of Cable Armoring Wires 1.25 mm to 4.00mm. Our products are precisely designed with metal covers which are applied for protecting the cable from mechanical damage. Our products are manufactured to use in cables industries as per the technical specification for example like IS 3975:1999. The products consignments offered by us are hot deep galvanized furnace with the advanced technology in order to ensure supreme quality. These products are highly appreciated for the features like superior corrosion resistance, tensile strength and flexibility. 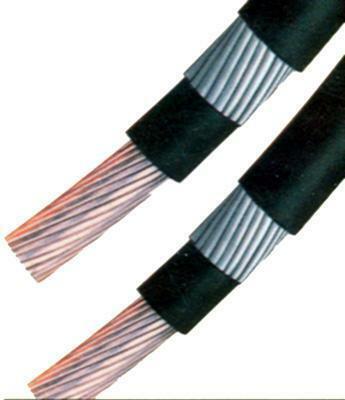 Our products are applicable for cable armoring purposes. Six years of industrial presence as a manufacturer, exporter and supplier of Industrial Steel Wire and Galvanized Wires. Range of products being offered by us includes G.I. Fine Wire (Electro Platted), Umbrella Rib Wire, Rolling Shutter Wire, Spring Steel Wire, Barbed Wire, Armouring Wire, Cable G.I. Stay Wire, Galvanized Strand for Earthing, P.C. Wire, Mild Steel Wire, A.C.S.R Core Wire (2.30mm to 3.53mm), A.C.S.R Core Wire, Ply P.C. Strand and many more. Our organization is managed professionally by Jai Hanuman Group and is certified with ISO 9001:2008 certifications. A huge team of more than 100 professionals guides us on our way of marking a successful presence in the industry. These professionals belong from the field of galvanizing and wire drawing. While manufacturing these products we take care of all technical details with utmost precision. The large clientele associated with us includes Power Grid Corporation of India Ltd., Electricity Board, Indian Railways, NTPC and more. The firm operates with a single motive of satisfying the clients to their utmost level.